Given our work with early stage startups, we often work with ventures trying to build their startup brand and raise awareness of what they do. “Branding is not simply a name, a logo, or a tagline slogan—it’s a reason for being,” says Thomas Dawson of Branding Strategy Insider. That ‘reason for being’ must be encapsulated in the messaging you develop and the tone you set—it becomes the foundation for how the outside world perceives your startup. An interesting thing about tech startups (and we’ve all been guilty of this) is that sometimes we are such enthusiasts of the technology behind our product that we start to believe the product will sell itself. The truth is that no matter how great the product, in order to let your target customers know that your product or company exists and understand why it is better than alternatives on the market, you need to develop a brand. When most startups think of branding they think of design: the logo, the colors, the images. But in reality, it’s more important to think of the messaging and positioning first when brainstorming brand development. Messaging is where you consider the tone you want to set for your company, the language, and voice that will resonate with your target customers. I recently taught a class at Intelligent.ly on messaging and positioning for creating a startup brand. Below are some of the key takeaways from this presentation. Your tone should reflect how you want your startup to come across to outsiders. Whether it’s through confidence, strength or humor, it should speak directly to your audience. Your voice should emphasize the key points of your brand and convey your company’s authentic personality. For whom do you do it? Think of a store brand name…for example Bass Pro Shop. How do they show their personality to their target audience of outdoor activity enthusiasts? They have a developed a distinct tone and voice that resonates with their customer base by stressing that they’ve been as passionate as their customers about fishing since 1971. They even go as far as having a family of restaurants in different states to be even more appealing to customers and families. A tagline is a catchy way to articulate what you do in way that resonates with your target audience. When you hear “think different,” do you think of Apple? (you should!) Taglines should be memorable and form a strong association with your brand. There’s no right or wrong way to create a tagline—your tagline could be quippy, visionary, or straightforward. Sometimes the best taglines come about serendipitously. Avoid using buzzwords as they get old quickly, and try to evoke an emotional response. This will help your tagline stick in your audiences’ mind. Still need some inspiration? Check out these taglines. A unique value proposition is just as it sounds. It’s a powerful statement that represents your company and conveys the value your company brings to the market through the pain points it addresses, and the solutions offered by your products or services. HubSpot does a great job with their value proposition, keeping it short and to the point while still covering the 6 elements. Read their UVP. Can you find all of the elements? HubSpot all-in-one marketing software helps more than 8,000 companies in 56 countries attract leads and convert them into customers. 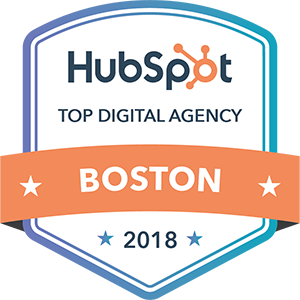 A pioneer in inbound marketing, HubSpot aims to help its customers make marketing that people actually love. Competitive positioning is the way a company distinguishes itself from both its direct and indirect competitors, and it becomes more relevant when you’re in a highly competitive market or when the product relies on a more involved sales cycle. For example, the startup company Bloomspot was launched in January 2010 and gave Groupon a run for its money—literally. With as many as 383 competitors, Groupon grew by only 6 percent month over month last year. Because Bloomspot is focused on 11 specific cities, they differentiate themselves from Groupon by having the ability to work much more closely with a limited number of merchants. You now have the power of these four building blocks to create a name for your startup brand. By following these, your company will soon be on its way to developing a complete verbal brand. To see the full presentation, visit Slideshare.